The Robson Valley Explorers’ program was initiated the summer of 2015. 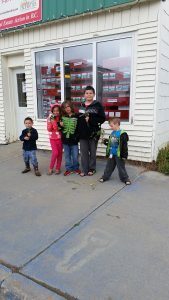 Over the summer children pick up a map and lanyard from the library and visit the 25 – 30 businesses shown on the map. 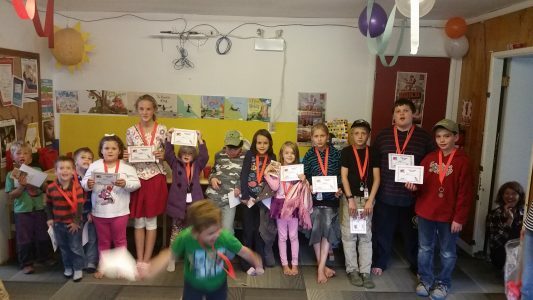 At each business the child completes an activity to receive a badge. 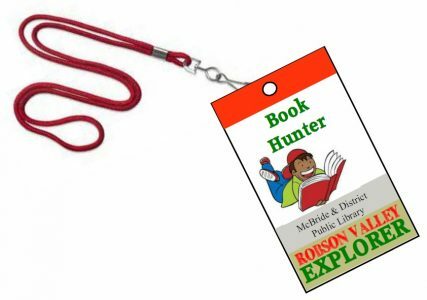 (An example would be to check out two items from the library to receive a “book hunter” badge.) For each 5 badges the child receives he may enter his name into a draw for a prize awarded at the end of the summer. The Explorers’ all about encouraging kids to put down their electronic devices and get out and play. We think we can do this by creating a relationship between kids & their local community. This relationship creates an incentive for all to participate as one motivates the other. It all begins with motivation that works, the kind that gets kids active without them even knowing it. This motivation is based on finding something that excites kids! We call it an Explorer Badge. Kids earn an Explorer Badge for every activity they complete. The badges are bright & fun to collect.